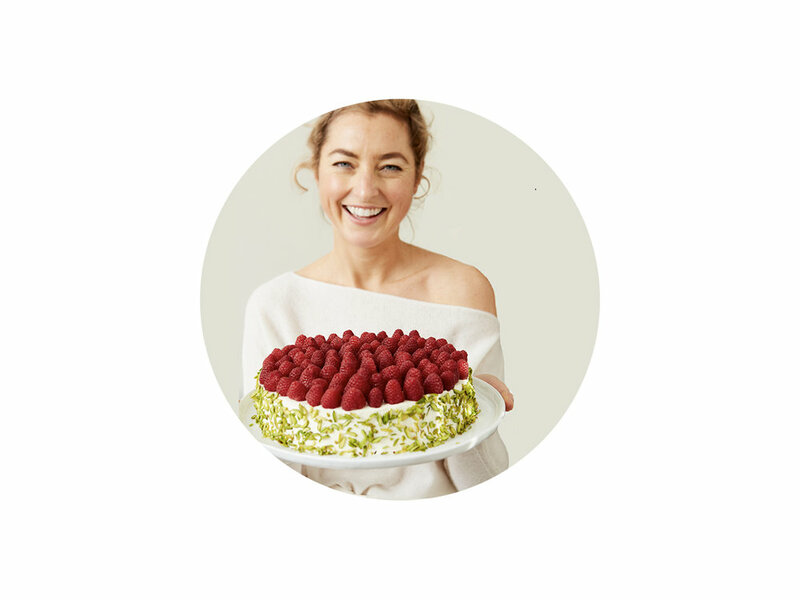 Katzie Guy-Hamilton is the director of food and beverage of Equinox Fitness, a certified health coach, a renowned pastry chef, and the author of the new cookbook Clean Enough. Katzie's food philosophy, "clean enough," was born after traveling around the world as a pastry chef and noticing her health was declining. Instead of depriving herself of delicious foods that she loves, she began to develop recipes that were healthy and tasty. Her cookbook features over 100 vegetarian recipes that strike a balance between savory and sweet. Her fermented garlic and squash soup is a warming blend of savory and sweet nutritious flavors. The fermented black garlic adds a subtle tone of sweetness and is a natural source of probiotics, which not only supports digestion but also can improve mood, lower inflammation, and boost immunity. Butternut squash is high in vitamin C, which helps ward off sickness (and will make your skin glow!) and is loaded with fiber, which supports a healthy microbiome and can prevent leaky gut. This gut-healing and immune-boosting soup is the perfect pick-me-up for any time of day. Preheat the oven to 400°F (200°C). Place the cubed squash on an unlined half sheet pan and toss with 1 tablespoon of the olive oil. Place in the oven to roast for 30 minutes, tossing the squash halfway through to roast evenly. Heat 1 tablespoon of the olive oil in a heavy-bottomed pot over medium-low heat and add the onion, black garlic, and thyme. Sauté for 20 minutes to slowly caramelize the onion. Add the water, vegetable stock, vinegar, and squash to the onion mixture. Bring to a simmer and cook for 15 minutes. Remove the thyme sprigs and stir in the pink salt, black pepper, and crushed red pepper. Transfer the soup to a high-powered blender or use an immersion stick blender and puree until ultrasmooth. Heat the final tablespoon of olive oil in a sauté pan over medium-high heat and add the chestnuts. Brown the chestnuts, about 4 minutes, then season with the nutmeg and sea salt. Serve the soup with freshly ground black pepper, wedges of lemon, and the pan-crisped chestnuts along with Super Seed Blend, if using. Based on excerpts from Clean Enough by Katzie Guy-Hamilton with permission of The Experiment. Copyright © 2019.